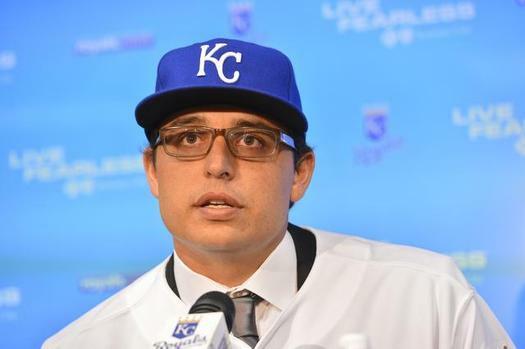 On Thursday, the Kansas City Royals held a press conference for their “Major Announcement”, the signing of left handed pitcher Jason Vargas to a 4-year, $32 million dollar deal. It was well known that the Royals were in the market for a starting pitcher to replace the departed Ervin Santana, who was a solid #2 starter for the team in 2013. 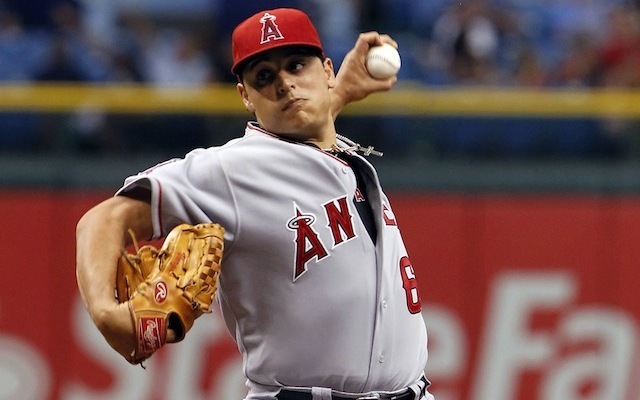 Names like Tim Hudson, Josh Johnson and Phil Hughes were all bandied about for Kansas City, but in the end they inked Vargas. This announcement was met with neither joy nor anger by Royals fans…instead, it was met with a very ‘meh’ reaction. So was this a good deal for the Royals? Let’s go ahead and break it down. First is the length of the deal. When I first heard of the signing, this was the part that disturbed me. I am of the belief that very few pitchers are worth a contract over four years. The only ones you should feel confident with are the Clayton Kershaw’s and Justin Verlander’s of the game. If you are not an elite hurler, there should be no reason to give them a long-term contract. Pitcher’s are too fragile and tend to break down at a higher rate than a position player. It is also quite the gamble to do that with a pitcher in his 30’s, normally the age a moundsman starts to regress. So four years for an average pitcher(which I will get into in a bit) just seems like an awful idea. Between Jeremy Guthrie and Vargas, it seems as if Royals GM Dayton Moore feels he needs to add extra years just to get a pitcher to sign in Kansas City. At one point that might hold some truth; but that is not the case in 2013. Coming off of a winning year, the Royals aren’t in the position they were in when they had to sign Gil Meche to a large contract just to get him to listen. Those days are gone. So any talk that they HAD to give Vargas four years is preposterous. Hopefully signing Vargas to that long of a deal doesn’t come back to bite them, which it could. When you sign such a long deal for a guy, that is a commitment you are making to your baseball team despite how the player in question is performing. 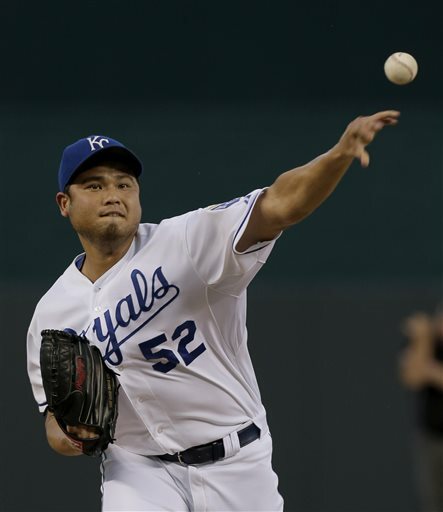 In this case, the Royals are more likely to stick with him in the rotation longer than they would, let’s say, Bruce Chen, because of their commitment to him. So in the end, the length of this deal is almost an albatross around the Royals neck. It’s easy to see that he does fine in a pitcher’s park, but once he is away from there his numbers spike upward…a lot. Kauffman Stadium is more of a neutral park than the last two he has pitched in on a regular basis, and I’m sure the Royals great defense will help him as well. But his number’s at the K over his career don’t exactly ooze confidence from me: Vargas has pitched 20 innings at Kauffman Stadium against the Royals, with two total strikeouts and an ERA of 5.31. These are numbers from a guy who the Royals look to be counting on to be their number 3 starter this year…and maybe more in the future. So go back to that contract: 4 years, $32 million. Bruce Chen probably could have been re-signed for 2 years and around $12 million. That is way less of a commitment and less money for the same kind of pitcher. Plus, Bruce Chen is funnier. Just saying. Now, don’t take this as me disliking Vargas. I think if the Royals were using him as the #4 or 5 starter I would have less of a problem with this. 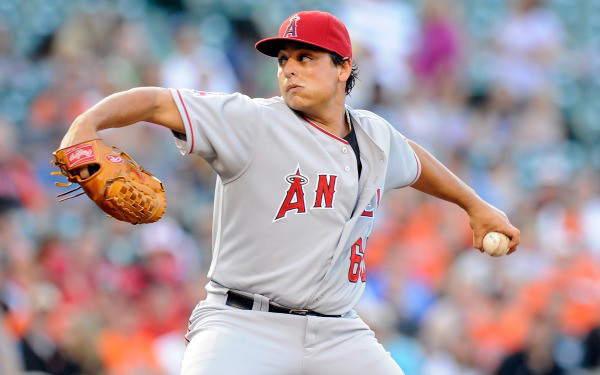 Vargas will eat innings and have games where he will look unhittable. He will be what he is: a solid, inning eating average pitcher. Hey, we all know the Royals need innings as much as anything. The sad thing is the Royals are at a point where they can contend, yet bought like they just want to get by. The window for this Royals team to win is very small, as James Shields will become a free agent after this upcoming weekend. Logic says the Royals should have gone out and gotten a solid #2 starter for the rotation. Was one available? Maybe not on the surface, but a guy like Scott Feldman or Phil Hughes might have more upside than Vargas does. Yes, Hughes would have been a gamble, but that is kind of what this team needs to do now. Instead, the Royals gave a large contract to a league average pitcher. If he is to be believed to be Santana’s replacement, it will be a step down. The one way around this is if Danny Duffy or Yordano Ventura step up this year and show the stuff that scouts have been saying about them for years. Duffy seems like a long shot, since he can’t seem to stay healthy or keep his pitch count down. He has the stuff and the talent, he just needs to stay off the DL and throw less pitches. 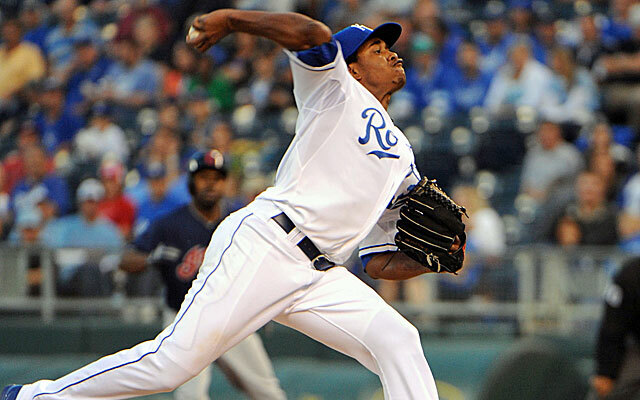 Ventura had both good and bad moments in his September call-up. It’s hard to see his triple digit fastball and not get excited, and there is a very good chance he is as special as we’ve been told he is. But rookies don’t always flourish right out of the gate, so it’s hard to predict just what kind of pitcher he will be in 2014. There is also the outside chance Kyle Zimmer will jump from AA to the majors, but a lot of things would have to go right for that to happen. Either way, much like last year, the Royals are counting on more improvement than regression. It’s a scary gamble to take. So I hate the length of this deal, but more than anything I hate what this signing stands for. It probably means the Royals have made their big move of the winter and it was for a pitcher who reminds me of Bruce Chen and looks like Rodney Ruxin. 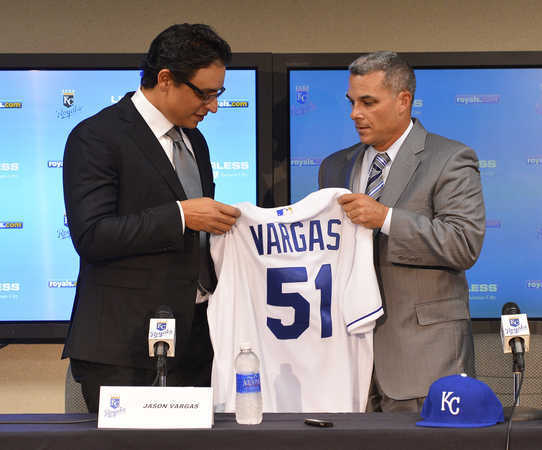 I think Vargas will be a serviceable pitcher and should be a steady arm for Kansas City to count on. But the Royals need more, which puts more pressure on Duffy, Ventura and Zimmer to be more of a savior for this pitching staff. If this pushes Wade Davis out of a rotation spot, the deal looks better. But it’s not the deal I would have made, and it makes you wonder just how in it Kansas City will be for 2014. The rest of the American League Central looks to be improved for next year, so for the Royals to keep up with the Jones’ they need to improve as well. 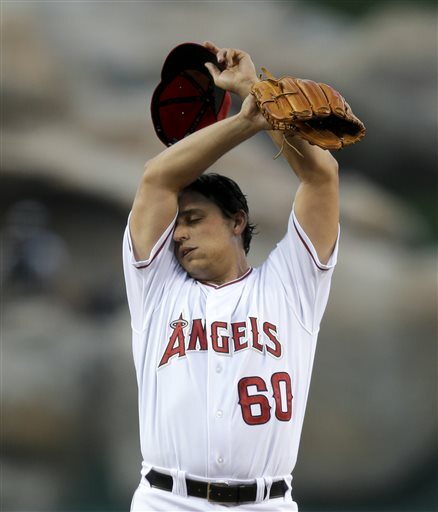 Sorry, Jason Vargas. You are a step down at this point. Nothing personal. At least you have security. Four years worth, in fact.